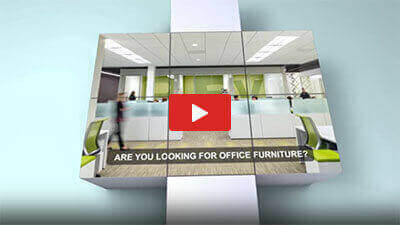 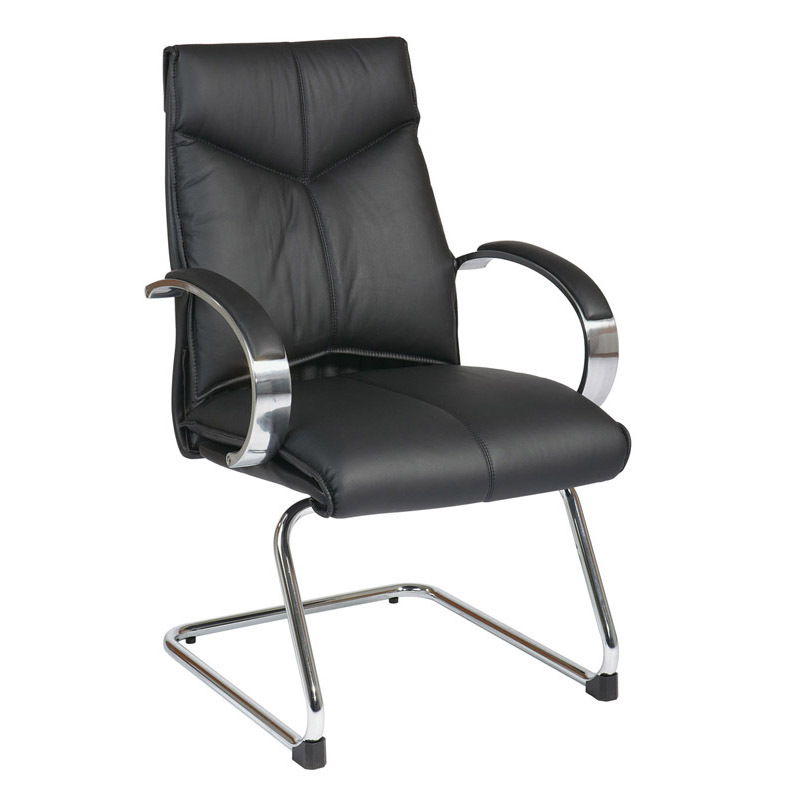 Deluxe High-Back Executive Leather Chair with Chrome Finish Base; Contour Seat and Back with Built-in Lumbar Support; One Touch Pneumatic Seat Height Adjustment; Locking Mid Pivot Knee Tilt Control with Adjustable Tilt Tension; White Top Grain Leather; Padded Chrome Arms; Heavy Duty Chrome Finish Base with Dual Wheel Carpet Casters; GREENGUARD Indoor Air Quality Certified. 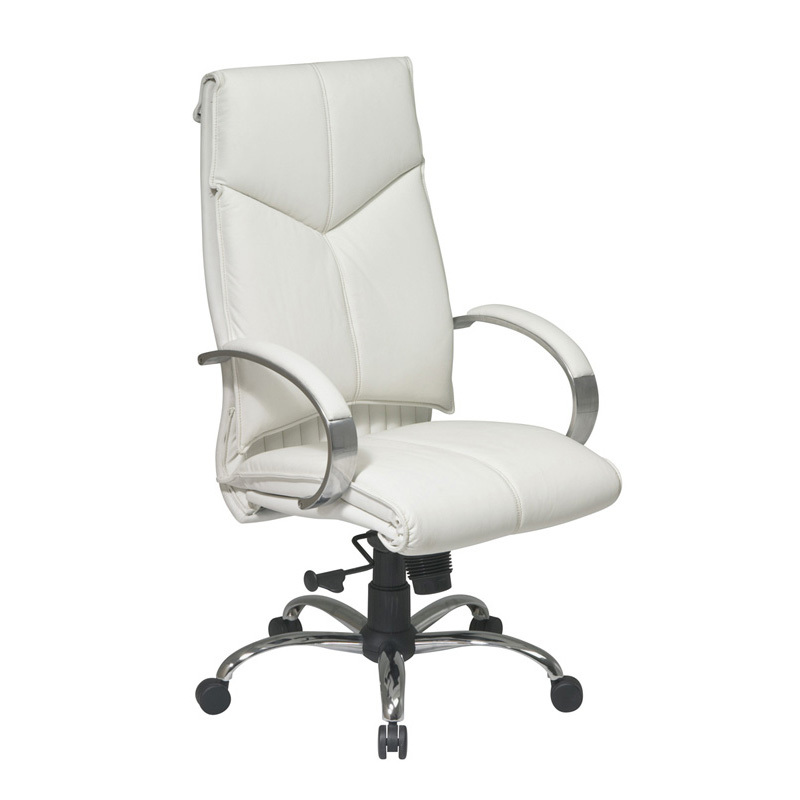 Deluxe Mid-Back Executive Leather Chair with Chrome Finish Base; Contour Seat and Back with Built-in Lumbar Support; One Touch Pneumatic Seat Height Adjustment; Locking Mid Pivot Knee Tilt Control with Adjustable Tilt Tension; White Top Grain Leather; Padded Chrome Arms; Heavy Duty Chrome Finish Base with Dual Wheel Carpet Casters; GREENGUARD Indoor Air Quality Certified. 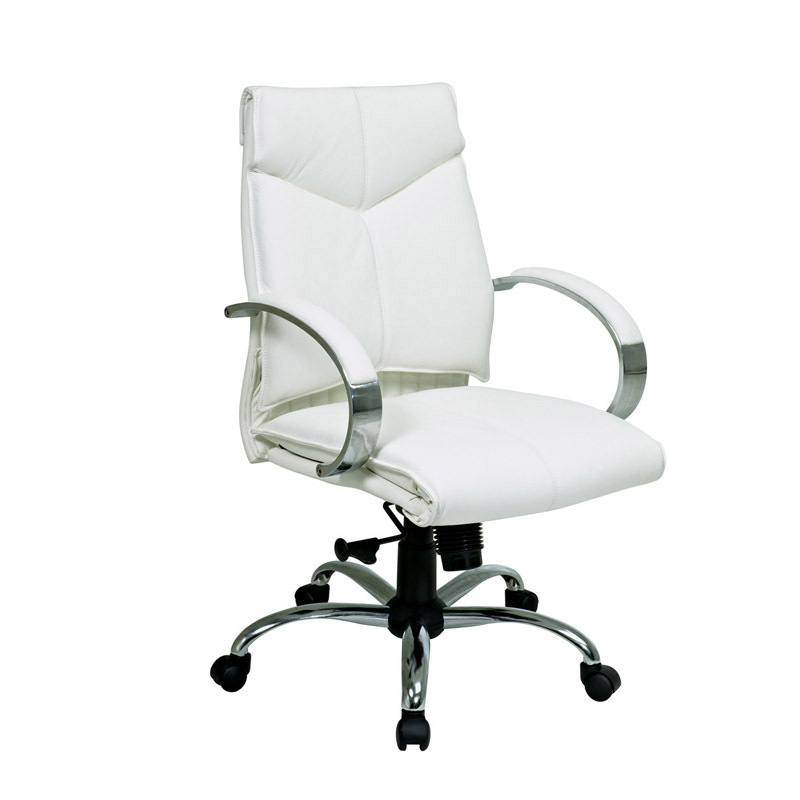 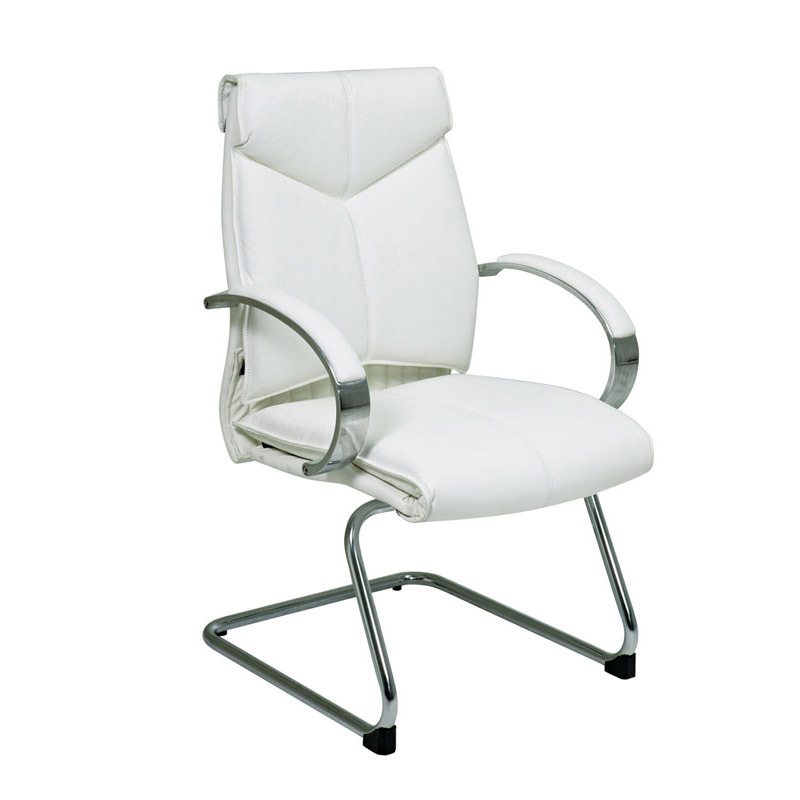 Deluxe Mid-Back Executive Leather Visitors Chair with Chrome Finish Base; Contour Seat and Back with Built-in Lumbar Support; White Top Grain Leather; Padded Chrome Arms; Heavy Duty Chrome Finish Base with Dual Wheel Carpet Casters; GREENGUARD Indoor Air Quality Certified. 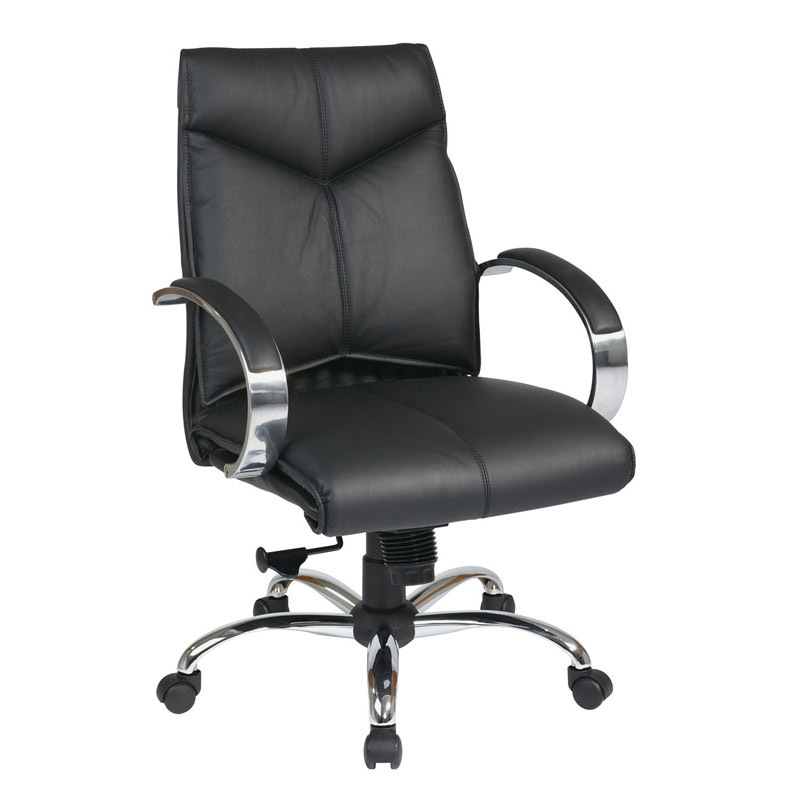 Deluxe High-Back Executive Leather Chair with Chrome Finish Base; Contour Seat and Back with Built-in Lumbar Support; One Touch Pneumatic Seat Height Adjustment; Locking Mid Pivot Knee Tilt Control with Adjustable Tilt Tension; Black Top Grain Leather; Padded Chrome Arms; Heavy Duty Chrome Finish Base with Dual Wheel Carpet Casters; GREENGUARD Indoor Air Quality Certified. 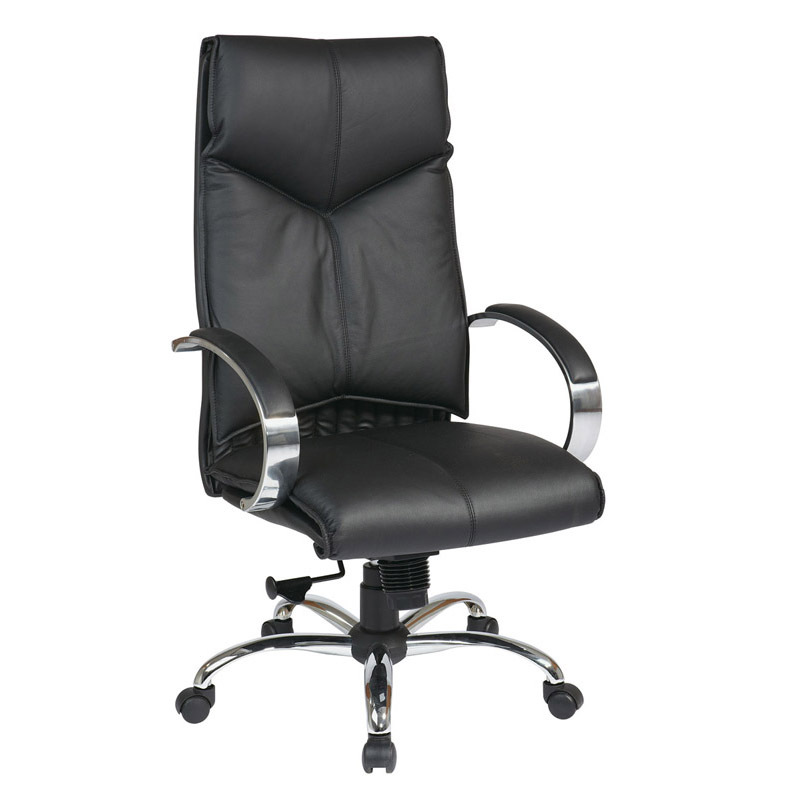 Deluxe Mid-Back Executive Leather Chair with Chrome Finish Base; Contour Seat and Back with Built-in Lumbar Support; One Touch Pneumatic Seat Height Adjustment; Locking Mid Pivot Knee Tilt Control with Adjustable Tilt Tension; Black Top Grain Leather; Padded Chrome Arms; Heavy Duty Chrome Finish Base with Dual Wheel Carpet Casters; GREENGUARD Indoor Air Quality Certified. 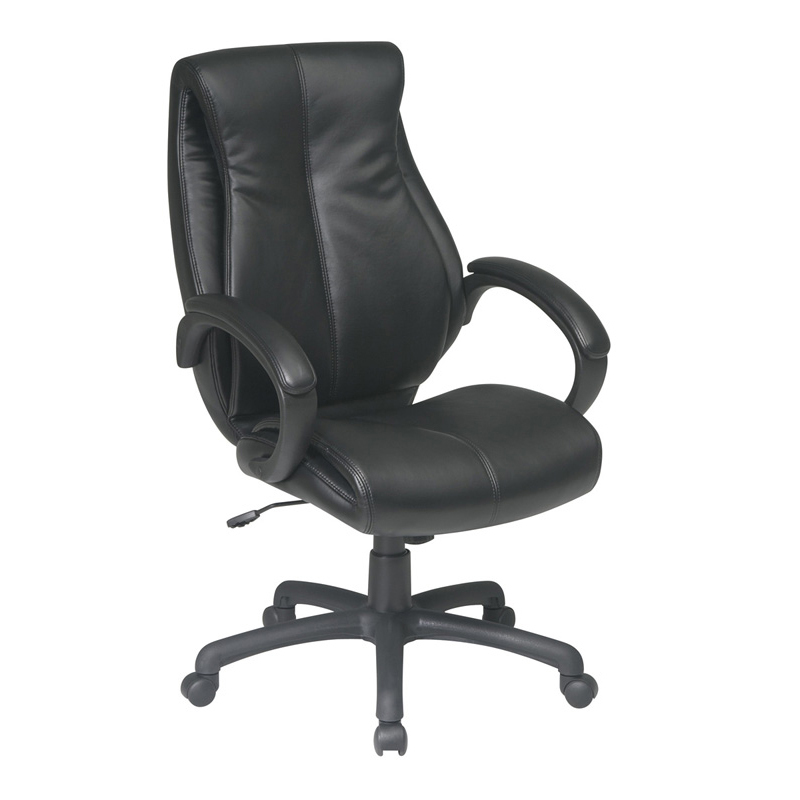 Deluxe Mid-Back Executive Leather Visitors Chair with Chrome Finish Base; Contour Seat and Back with Built-in Lumbar Support; Black Top Grain Leather; Padded Chrome Arms; Heavy Duty Chrome Finish Base with Dual Wheel Carpet Casters; GREENGUARD Indoor Air Quality Certified.